The RCMP are looking for a suspect after a drive-by shooting in Cole Harbour, N.S. Police say two cars were travelling at a high rate of speed on Circassion Drive around 5 p.m. Wednesday when the passenger in one of the vehicles allegedly fired a rifle at the second vehicle. No injuries or property damage has been reported. Police say the vehicle from which the shots were allegedly fired was a gold, beige or brown car with tinted windows. The man who was allegedly seen firing the gun is described as a black male with a light complexion. There is no description of the driver. The second vehicle is described as a white or silver four-door car. Anyone with information about the incident or the suspect is asked to contact the RCMP. 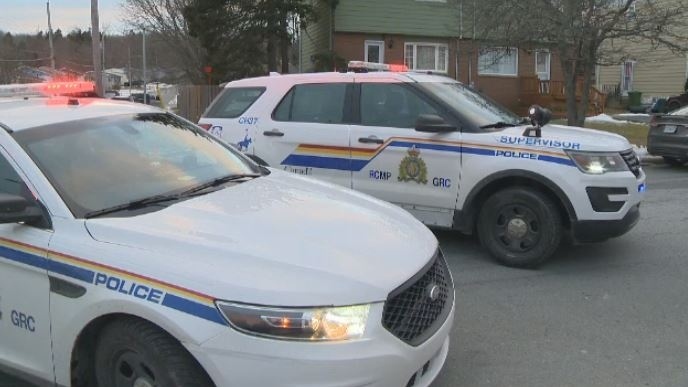 The RCMP respond to a drive-by shooting in Cole Harbour, N.S. on Feb. 6, 2019.